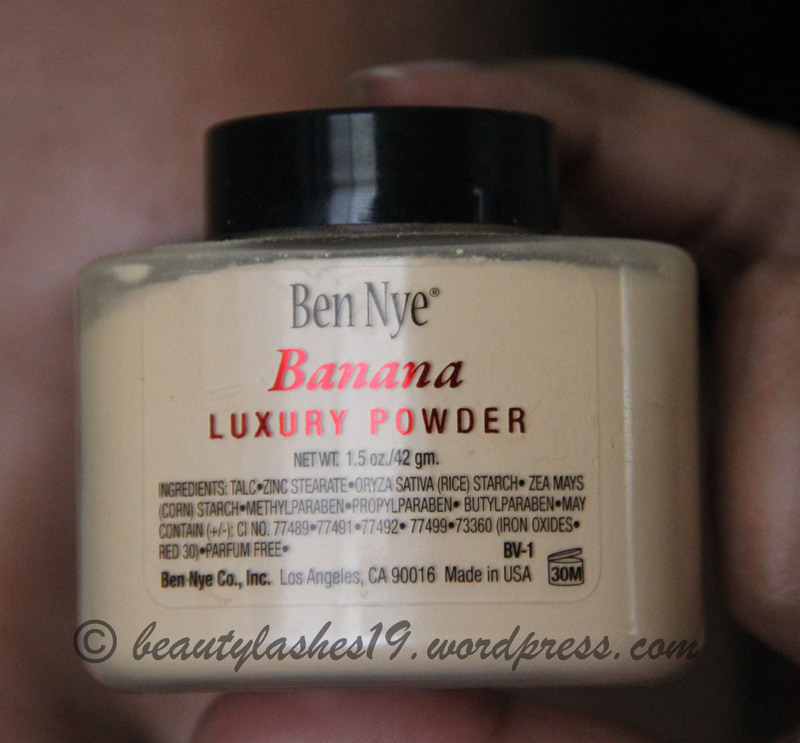 My favorite under eye concealer! Brightening up the area under one’s eyes is one of the key steps to look fresh and bright (unless you are one of the rare individuals with no under eye discoloration).. 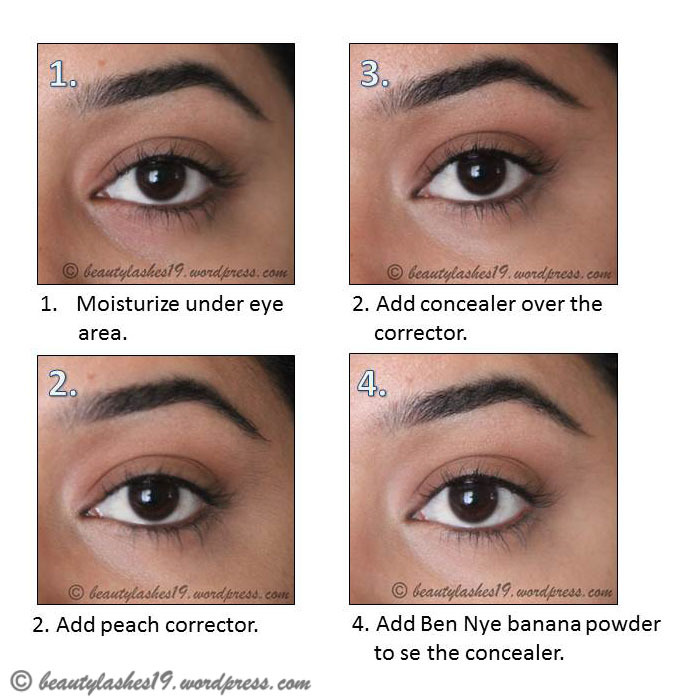 Even if I am going for a natural look, this is a step that I don’t skip.. I personally feel that evening out the under eye area instantly lifts the face and makes it more youthful.. You can see the difference in the image below… I look more awake and alive! 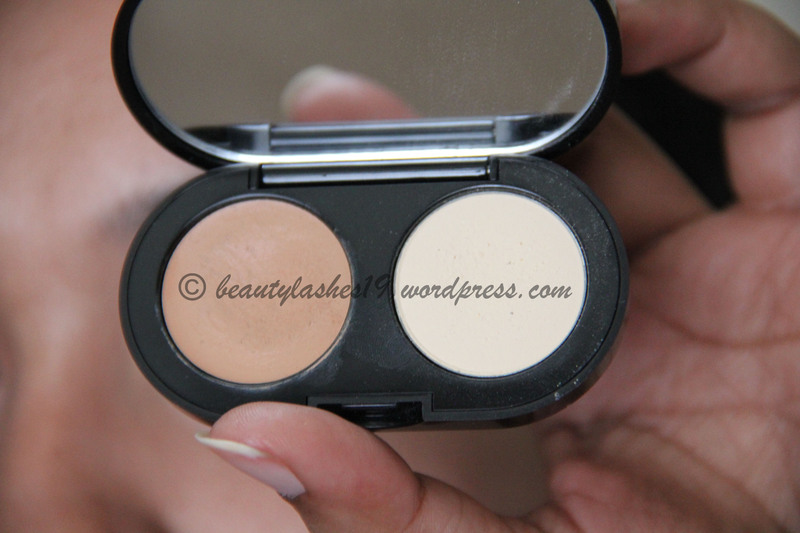 Over the years, I have tried many concealers from MAC, Collection 2000, Loreal, Revlon, etc.. 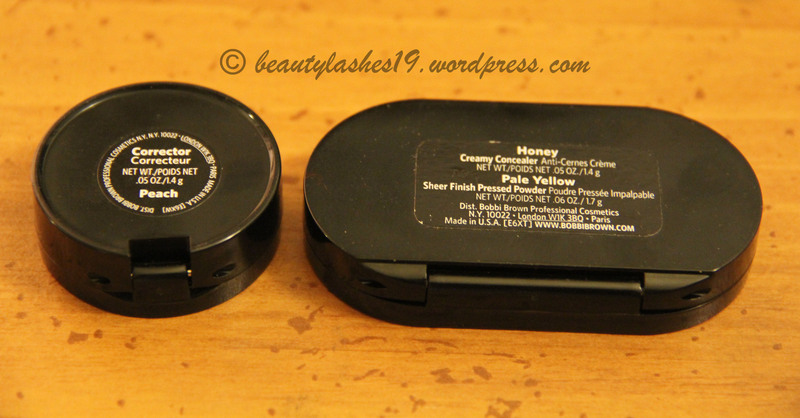 But the one I absolutely love using is the pair from Bobbi brown.. I use the corrector in the shade ‘peach’ and the creamy concealer in the shade ‘honey’… I particularly love the corrector..
Peachy-orange toned correctors work great on tanned skin since it counteracts bluish-purplish undertones which we frequently get under our eyes.. The depth of orange in the corrector depends on the extent of dark circle one has.. 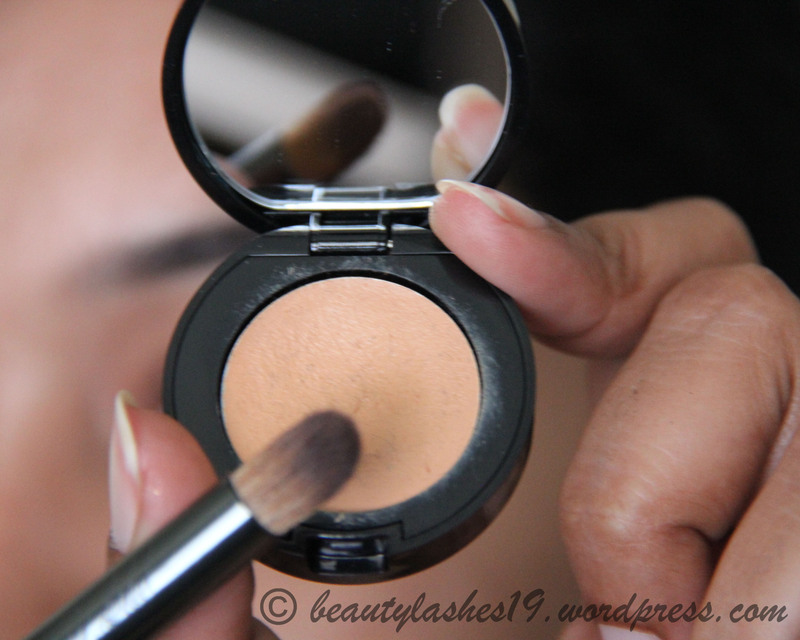 In general, the deeper the bluish-purplish tone, the more orange tone one needs in the corrector to balance out the skin tone.. For individuals with darker under eye circles, I would highly recommend the MAC studio finish skin corrector in the shades ‘burnt coral’ or ‘pure orange’ (I will do a separate review on that) or deeper tones of correctors from Bobbi brown.. Although I have pictured the products with brushes from bobbi brown and eco tools, feel free to swap them with other brushes of choice.. I use other brushes from Real Techniques and Sigma too and they work equally well or better..